Dr. Michael McCoul, D.C. and team invite you to visit East Hants Chiropractic Clinic and discover how we can help you decrease pain and enhance your overall wellbeing. We treat everyone from expectant mothers and weekend warriors to top athletes, labourers and office workers. Wellness is more than simply feeling well, wellness is your ability to move, live and work in complete comfort. It’s about being passionate for life and living it to the fullest. If you only want to be free of pain, we can help, but if you are interested in true wellness and taking life to the next level, we can help you get there! To schedule an appointment, CALL EAST HANTS CHIROPRACTIC CLINIC IN SHUBENACADIE TODAY! At East Hants Chiropractic Clinic, we work in a team environment to better serve the needs of our patients. In many instances, complementary modalities can provide the synergy patients need to achieve optimal health, reduce pain and enhance their overall wellness. These results are only possible through the close collaboration of the team members profiled on this page. If you are looking to take the next step toward wellness, please give us a call to schedule an appointment! “I was first introduced to chiropractic when I was a teenager. I came to realize that health and wellness is not simply how you feel, but what you are able to do. It is your body, naturally healing and correcting itself, optimally. I grew up in Shubenacadie, Nova Scotia and attended Dalhousie University in Halifax where I received a Bachelor of Chemistry degree in 1996. Upon completion, I then moved to Toronto to complete my Doctorate in Chiropractic at Canadian Memorial Chiropractic College, graduating in 2000 and returning to my hometown in Nova Scotia to build my practice. Throughout her life, Rebecca has held an interest in sports and athletics. 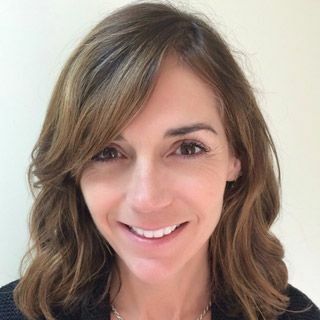 Since 2003, she has been a STOTT PILATES® method instructor, certified in Mat and Reformer and is qualified in Pilates for "Injuries and Special Populations.” Rebecca also has training with the many props used in Pilates and has since received qualifications in Zenga™ and Total Barre™. She also has a Level 2 qualification in TRX® suspension training and has been a certified personal fitness trainer through Canfitpro™ since 2000. Rebecca first found Pilates while living in Toronto in 2000, and later discovered that doing lumbar stabilization exercises with clients was in itself Pilates. She then decided to receive certification in order to teach the STOTT PILATES® method of exercise in 2003. Since then, she has been teaching the STOTT PILATES® method to individual clients and small group classes at East Hants Chiropractic in Shubenacadie, as well as working in the office. The mind-body connection to health and fitness is what drives her passion for Pilates today. “I believe that the STOTT PILATES® method of exercise incorporates the correct movement that you can apply to any form of exercise or activity for life,” Rebecca says. 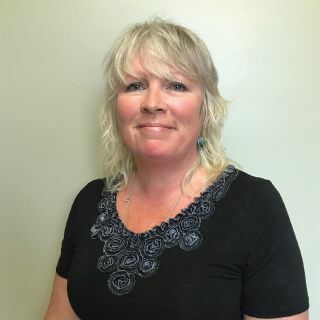 Wanda Farnell is a Registered Massage Therapist of the 2,200-hour massage therapy program and started her career with East Hants Chiropractic Clinic in 2002. 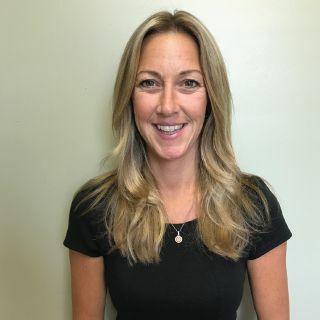 She is a member of the Massage Therapy Association of Nova Scotia and also a registered low intense laser technician, using the BioFlex Laser Therapy® System since 2008. Wanda specializes in the Schweitzer Deep Tissue Therapy, myofascial trigger point release as well as gua sha therapy, all to decrease aches and pains, relieve muscle tightness, reduce stress and tension, improve your immune system, stimulate the release of endorphins (the body's natural painkillers and mood enhancers) — just to mention a few of the benefits. If you are experiencing any of the following, you may benefit from massage therapy or low intense laser therapy: headaches, whiplash injuries, carpal tunnel syndrome, sciatica, tendinitis/bursitis, constipation, plantar fasciitis, concussion, arthritis, soft tissue injuries and many other conditions. These are also used for creating optimal health and relaxation. To harness their natural power, Wanda has begun utilizing essential oils in her practice. Wanda loves what she does — and it shows in her love for people. She also loves dogs! She has flexible hours, with daytime and evening appointments available. 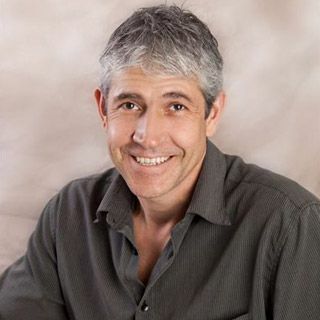 Brett is a registered acupuncturist with the Nova Scotia Association of Acupuncturists. Brett graduated from the Practitioner of Acupuncture course at the Academy of Classical Oriental Sciences in Nelson, BC in 2009. 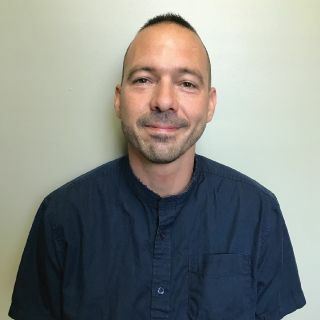 Brett has been working in the field of acupuncture in Truro, Nova Scotia since 2011, specializing in sports injuries and musculoskeletal conditions, using a combination of trigger points and Traditional Chinese acupuncture techniques to achieve lasting relief of chronic and acute pain. Brett lived in China for over 4 years training in traditional Chinese martial arts, taiji, qigong, and Traditional Chinese Medicine and acupuncture. He completed a year-long full time Chinese language program in the Sichuan Province in 1998. He returned to China twice in 2008 and 2009 to finish his clinical practicum and completed over 1,500 hours in multiple hospitals in Kunming, Yunnan, China. There he was able to treat and see thousands of patients and had the very rare opportunity to work with some of China’s best Traditional Chinese Medicine doctors and acupuncturists and treat a diverse spectrum of disease patterns and conditions. Brett is a lifelong student and advocate of nutrition. He believes that proper nutrition is one of the main pillars of health, one that affects all aspects of our lives. He has designed simple strategies to make quick changes in nutrition patterns and help eliminate obvious culprits from a diet. Brett began his lifelong passion for food as a teenager when he began his biochemistry and botany programs at Colorado State University. Brett has a wealth of experience as a traditional Chinese acupuncturist, and he is more like a family doctor than a physical therapist. His training and expertise in diagnosing and treating internal health problems range from digestive disorders to insomnia, migraines, menopausal symptoms, and chronic health conditions. Brett is the father of three wonderful children. He knows the amount of effort it takes to run a family, and how difficult it can be for mom and dad to find time for their own well-being and ailments. He has also been a member of the Nova Scotia Association of Acupuncturists (NSAA) since 2009. Kimberly Murray is a Registered Massage Therapist. She has been providing therapeutic massage treatments since 2011 when she completed a 2,200-hour program. Kimberly graduated with honours from Eastern College and is also certified in Reflexology. She is passionate about providing comfortable healing therapeutic treatments to all her patients and enjoys all aspects of Massage Therapy. She specializes in Deep Tissue and Trigger Point Therapy and provides Reflexology and Relaxation for stress and tension. Kimberly is now accepting new patients.